Art, Sports, History, Science, Technology, Medicine, More! 30+ Boston museums offer you a huge array of fascinating exhibits to explore, whatever your interests happen to be. Expect to find everything from antique cars to electric cars . . . fossils to biotech . . . 17th century houses to 21st century design . . . Boston Tea Party artifacts to Boston Red Sox memorabilia . . . Egyptian mummies to avant-garde sculpture. 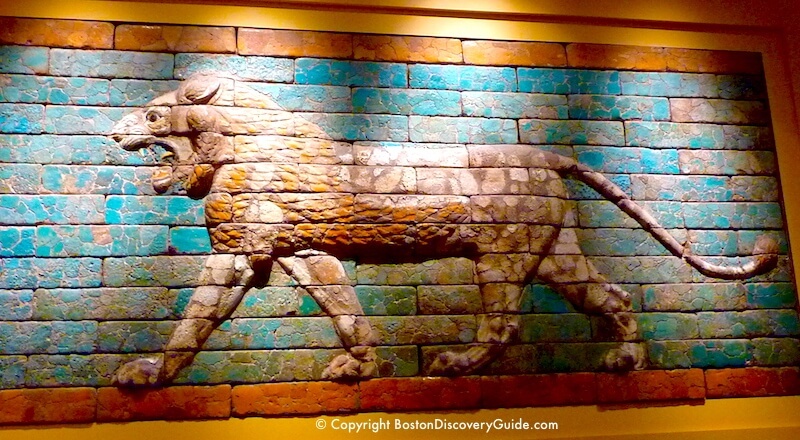 Whether you have an hour or a whole day, be sure to include at least one of Boston's world class museums in your trip to Boston - it will be a memorable part of your visit! And if the weather is less than perfect, a museum visit will provide hours of indoor entertainment. 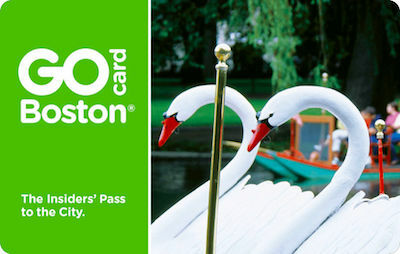 Admission fees range from free to hefty - but many Boston museums let you enter for free when you have a Boston Discount Card, while others offer occasion admission-free days. 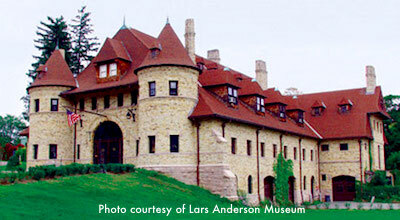 Check out the museums on this page to find which ones you'll enjoy the most. 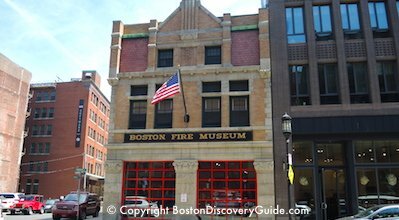 Museum admission fees range from free to hefty - but many Boston museums let you enter for free when you have a Boston Discount Card, while others offer occasion admission-free days. 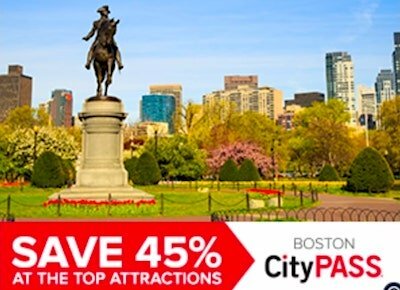 In addition to museums, these Boston discount passes also give you free admission to lots of other attractions, tours, cruises, and day trips - compare the savings! The popular New England Aquarium, located directly on Boston's Downtown Waterfront at the edge of the North End neighborhood, is home to an incredible array of marine life. The aquarium features seals, penguins, a giant aquarium, ocean reefs, and of course, fish of all shapes, colors, and sizes. What makes the Aquarium special: A giant 4-story Ocean Tank surrounded by a winding observation deck where you can view each layer of marine life including Myrtle the Giant Turtle, in residence here since 1970. More to enjoy nearby: Stroll into the North End and dine on wonderful Italian food, cross the Greenway and explore Faneuil Marketplace, catch a movie at the Imax Theatre next door, or hop on one of the whale-watch cruises departing from the wharf next to the Aquarium and get a close-up view of whales and dolphins. Located on Science Park, a strip of land spanning the Charles River between Boston and Cambridge, the Museum of Science offers 700+ on-going exhibits and special presentations covering a wide range of biological, physical, and space science and technology. Lots of interactive displays engage children and adults in an exploration of the world. Because of the museum's vast size, you can easily spend an entire day here, especially since the huge number of exhibits means every age group (yes, even teens) will find plenty things of interest. 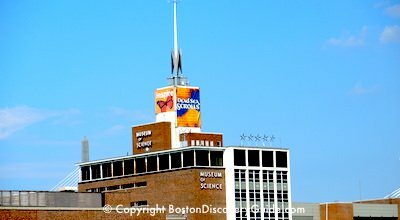 What's special about the Museum of Science: A butterfly garden where you can observe butterfly behavior, an onsite Imax theatre, and superb planetarium shows. Boston Insider Tip: Enjoy a free evening of astronomy at the Gilliland Observatory on top of the museum's parking garage every Friday evening from 8:30pm - 10pm between the first Friday in March and the last Friday before Thanksgiving. This event takes place ONLY if the weather is good ... so call the hotline at 617-589-0267 after 5:30pm on Friday to see if observations are on. On Friday nights, you can tour the inside of the Observatory and participate in staff-directed astronomy activities. 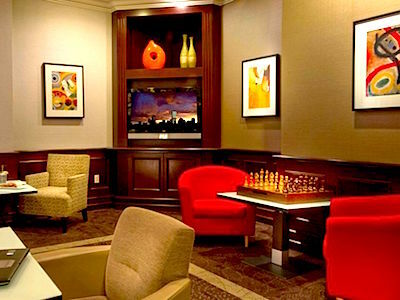 More to enjoy nearby: After your museum visit, walk over to nearby Cambridgeside Galleria Mall for shopping, a meal, or to hop aboard a scenic Charles River cruise. 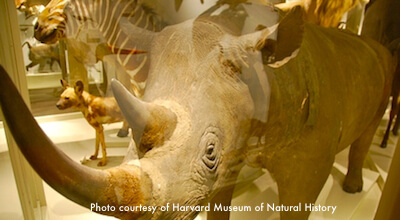 Located on the Harvard campus in Cambridge, the Museum of Natural History is one of the best Boston museums for kids and adults alike. The museum's vast collection contains everything from a 42 foot-long Kronosaurus skeleton to incredible gems and minerals, each more beautiful than the next. What's special about the Museum of Science: The world-famous Ware collection of Blaschka glass models of plants - often just referred to as the "Glass Flowers." Created in Dresden, Germany between 1886 and 1936, the collection on display includes 3,000 life-size glass models representing 847 plant species and most items are in excellent condition. Boston Insider Tip: The museum hosts a number of public lectures throughout the year. You'll find some of them listed on Boston Discovery Guide's monthly event calendars - but for a complete listing, check the museum website (www.harvard.edu). More to enjoy nearby: The Harvard Art Museums at 32 Quincy Street - and of course Harvard Square for a meal, shopping, or sightseeing. You can also walk around the Harvard campus. 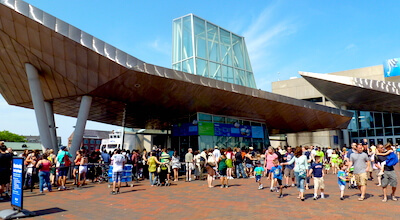 Admission: Adult $12, Child (3-18) $8; enter free when you have a Go Boston or Boston CityPASS discount card; also free to Massachusetts residents every Sunday morning from 9am-12 noon (year round) and on Wednesdays from 3pm-5pm (September through May); free to active duty military and their families. The dazzling copper and glass Paul S. Russel, MD Museum of Medical History and Innovation at Massachusetts General Hospital celebrates the medical institution's 200+ years of innovations and contributions to medicine. Displays include artifacts related to the hospital's medical breakthroughs, such as the ether inhaler used during the first public demonstration of anesthesia to block pain during surgery. The museum also hosts a number of lectures throughout the year which are open to the public. 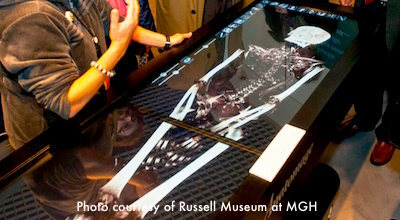 What's special about the Russell Museum at MGH: Padihershef - the museum's own 2,500 year old Egyptian mummy. Boston Insider Tip: Don't miss the 3rd floor roof garden! 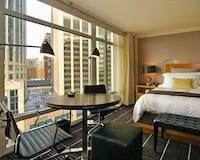 More to enjoy nearby: Several good restaurants are on the other side of Cambridge Street - pick your favorite cuisine! Or walk toward TD Garden, where you'll find a number of sports bars. Other nearby museums include the West End Museum, and the Museum of African American History on the other side of Charles Street in Beacon Hill. 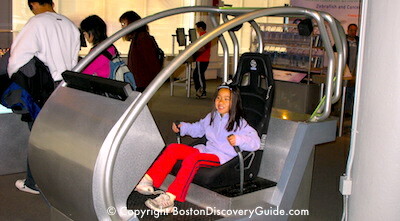 Located on Science Park, a strip ofland spanning the Charles River between Boston and Cambridge, the Museum of Science offers 700+ on-going exhibits and special presentations covering a wide range of biological, physical, and space science and technology. Lots of interactive displays engage children and adults in an exploration of the world. Because of the museum's vast size, you can easily spend an entire day here. Interactive technology and science exhibits feature holograms, robotics, innovative engineering, oceanographic research, scientific instruments, and more. Great place for kids as well as adults. 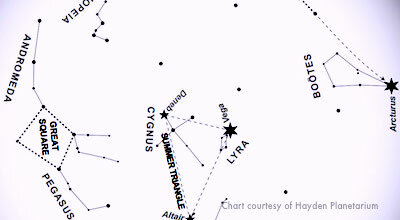 Located in the Boston Museum of Science, the Planetarium offers several shows featuring stars, planets, constellations, and the cosmos, plus free Friday night stargazing at the Gilliland Observatory from early March through mid-November. 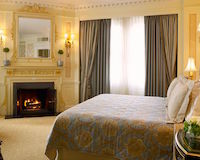 Christmas in Boston - It's the perfect time to visit! 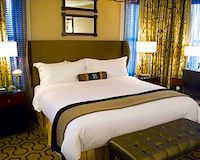 Boston Marathon Hotels - Don't wait to book if you're coming for the Marathon! Copyright © 2008-2019 Boston Discovery Guide®. All rights reserved. 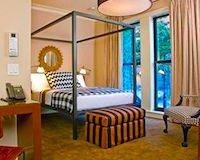 Boston Discovery Guide® is a Registered Trademark. All content including text and original photographs is copyrighted and protected by DMCA. Please note: Although we do our best to ensure that content on BostonDiscoveryGuide.com is accurate, information can change at any point without our knowledge. Please confirm all details with the sponsoring organization prior to visiting attractions or attending events. Boston Discovery Guide makes no representations or warranties with respect to any information, materials, or graphics on this website, all of which is provided on a strictly "as is" basis, without express or implied warranty of any kind.